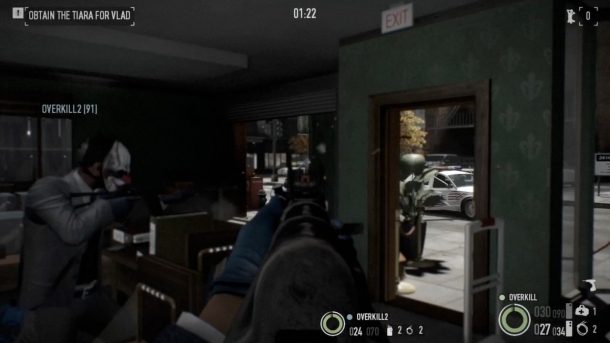 Payday 2, like its predecessor Payday: The Heist, is a first-person squad-based shooter that focuses on conducting robberies and heists. 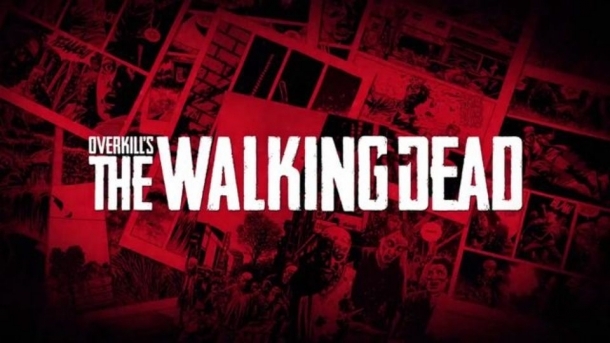 The game is split up into individual heists, which can be further split up into days. 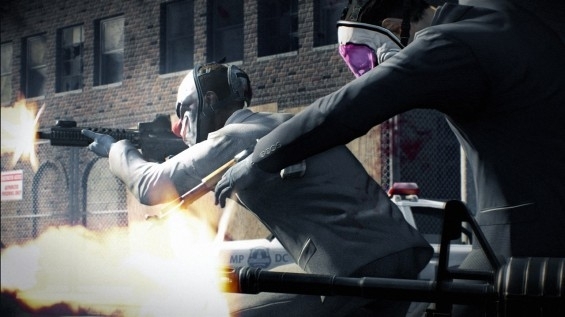 Payday 2 will feature more heists, with a total of 30 available, as well as more guns and improved gameplay. 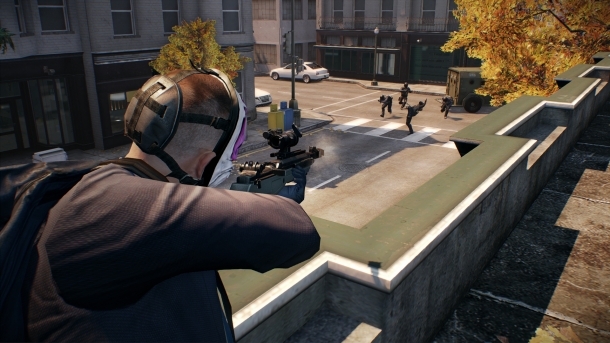 Heists can be performed with four human players online, or with one human and three AI players offline. As players progress through the game, they will gain access to four different professions that allow them to specialize in a specific role, as well as four sets of skills they can mix and match. Payday 2 has two collector's editions, one of which is exclusive to Microsoft Windows and the other being exclusive to the consoles. Also, there is a preorder bonus for the game, called Lootbag DLC, which offers various in-game items. It is available on all platforms.